For the price, a must buy for anyone into these idiosyncratic, un-modern whisky styles. Wet leather and wet wood, and some greasy smoke. Faint nutty oiliness, and a notion of a musty old wine cask. Ripe fruit and sparks. With water: Even more leather, and tar. With more water some circuit boards after a short circuit. Dirty in a good way. Mouth-coating greasiness meets leathery wine notes, with a very solid, almost heavy body sealing the deal. Dry wood on exit. Full and not an inch flabby either neat or with water. With water it becomes smokier and rougher, but otherwise doesn't change much. Wonderful both neat and decanted. 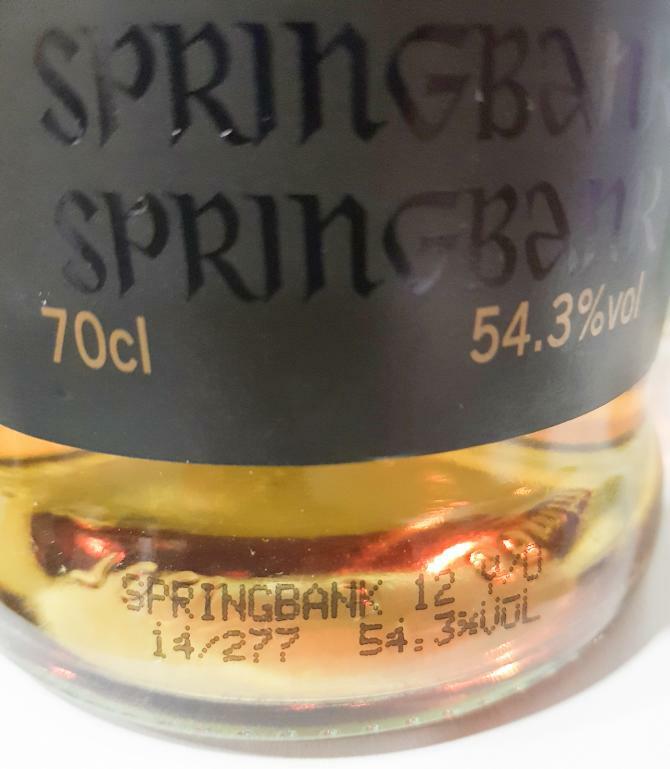 Lasting tarry fruitiness with some dry liquorice on exit, and at the end some aspirin which thankfully is rounded out by the cask influence (the aspirin/sand notes are not my favourite part of SB). Just great, great whisky. 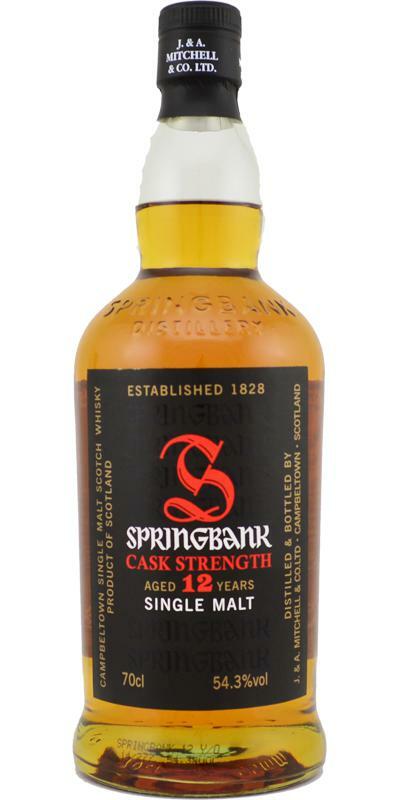 As always, the CS-series from Springbank offers great quality for a great price. Sweet dried fruits, burlap and touches of lemon. Somewhat briny and plenty of minerality. After about ten minutes it becomes darker and earthier. Very farmy too. Just really great! The peat now a bit more noticeable. Lovely oily mouthfeel, with a sugary sweetness, but also charred lemon peel, cigar ash and peaches. Oh, don't forget cloves and cracked black pepper. Don't forget the bitter oranges. Soft peat and lingering spices, with a hint of oranges. High quality for a sensible (release) price. Mildly peaty, lemon, dunnage warehouse, dried fruit, earth (dirt, humus), soot, clay, barley and honey. The peat seems to be a bit more intense. Furthermore: lemon, soot, oil, almond, barley, peach, orange and apricot. Oily, sooty, with warming spices, soft peat again, less fruit than on the nose and taste (mainly lemon and orange). Light phenolic smoke. Leather and some sherry. Lemon juice, cake dough. Rotten wood, earth. Sweet malt, a little sherry. Chili. Coffee and some ashes. Aside from a bit of sulfur, I like this one. Over time, however, the sulfur dissipates somewhat, leaving a very nice nose and palate with a lush finish. lemon (tart? ), old coins, toolbox, garage. a mix of green herbs. t: makes me addicted, I tell you! this is what I call an attack. comes thick and oily. fat smoke and sweet citrus behind. slightly farmy but lovely so. comments: what a dirty old b....! This batch is overrated. It has problems with sulfur. My rating: 84. 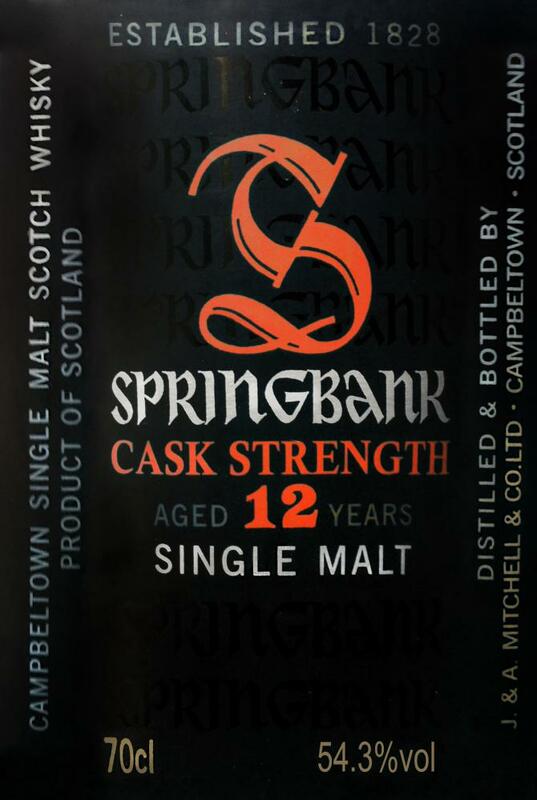 I am a big fan of Springbank and I love many of the 12 year cask strength releases. This is not one of them. The nose is unaffected. It is lovely. The palate suffers from sulfur but the finish is nice. Again a very nice batch of the 12 CS. The 40% refill sherry you notice late, but they provide a nice finish. Undiluted best. A very nice nose, dominated at the beginning of ripe red apples, pears and some "exotic" fruits such as apricots. Overall, very airy and fresh, that puts you in the mood for more. Despite the cask strength many different flavors come through. After a while, the nose becomes slightly peppery, also some salt is visible. I would like to see some peat, but can not find it here. A very round nose. The sweetness of apples, apricots and peaches floods the mouth. A touch of fresh hay can be found. Herbs of a wildflower meadow. A touch of salt. He does not need water, there is nothing burning, pure heat. The fruit flavors are preserved for a very long time and become somewhat "darker" over time. That may be because after a while, the oak pushes out of the barrel to the front. As soon as the woody note sets, you will also find the influence of the refill sherry keg. A nice long finish that does not dry until very late. Rear out, red grapes and some white pepper dominate.